Unite ‘Mesmer’s People Under One Banner, Start a Revolution and Overthrow the King! Time to revisit the universe of Teslagrad and World to the West, although this time you won’t be playing the part of a lone hero. Instead, you’ll need to rally people and get everyone onboard (somehow), while avoiding the attention of the Crown as that… is going to get you into trouble. What am I on about? Why, just that you’re going to play an essential part of Mesmer‘s revolution. Down with the king! Alternatively, you could – according to Rain Games, creator of Mesmer – simply see the sights, wander around the city of Pardam in the “final days before The Great Revolution”. Yeah. Don’t think so. If there’s a revolution brewing I want to be part of it, front and center; fortunately, that does also appear to be the focus of the game, resource-gathering and all. 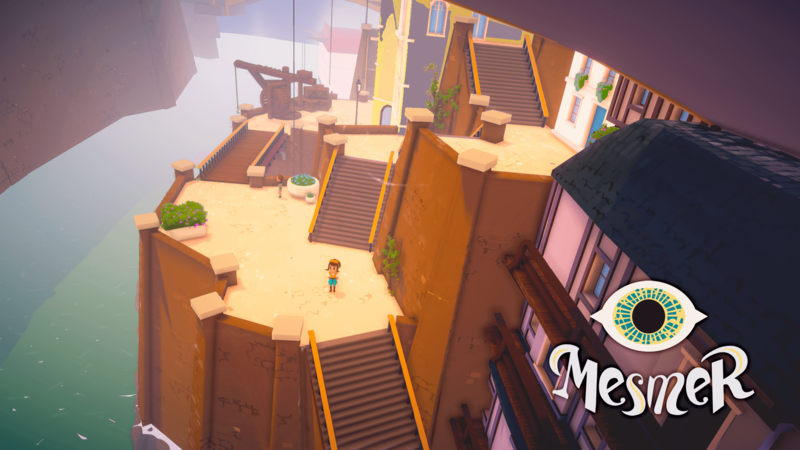 Set in one of the countries already known by players of our previous titles, Teslagrad and World to the West, it is an innovative take on the strategy genre, born from our love to board games. On a less fortunate note, you will be competing with other factions – four, to be exact – as they all have their own ideas and plans for the country, and needless to say, none of them align. So hit the streets of Pardam, ally (bribe?) influential citizens, gain favor with the common folk and… try to avoid drawing unnecessary attention. Especially that of the crown, as you have no time to waste. No really, or did you already forget about the other factions, each vying for control and power in their own sneaky way? Oh, and I do believe the character in the above screenshot is actually Miss Teri – aka. The Mindbender – from World to the West. Groovy. Mesmer, planned for PC, PlayStation 4, Xbox One and Switch, is currently without a release date, although it will be playable at GDC 2018.